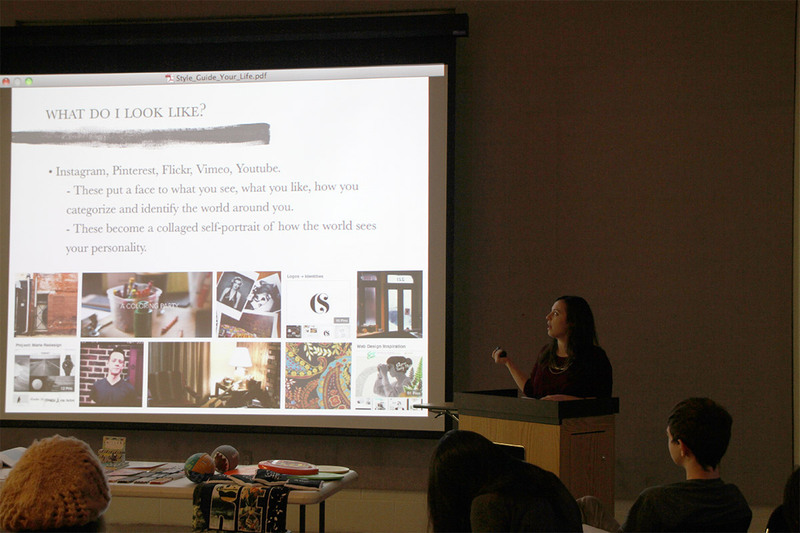 Last year, I spoke at the University of Maryland’s Clarvit Design Week for the Graphic Design Concentration. It was such an honor to be asked back to my alma mater and to see how the concentration has grown and developed since I graduated. I knew exactly how to answer. I mean, I could write an entire novel on this subject. b) Develop your professional persona online and off. Many creative graduates apply to so many jobs that they end up losing the time to develop great, personalized applications for these jobs. Or they grab any opportunity for work and due to inexperience, the finished projects are not always what they want in their portfolio. Shaping your career starts with shaping yourself. Or “styling” yourself as the case may be. 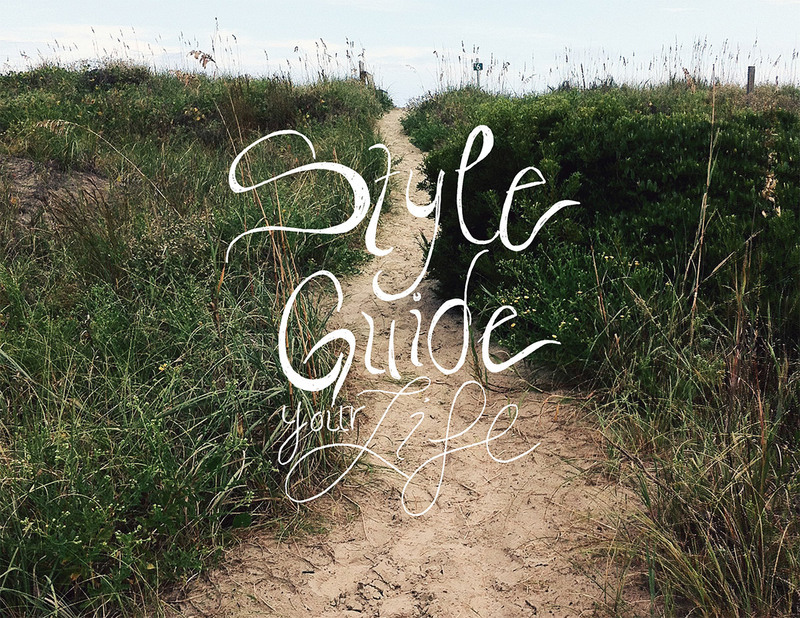 “Style guiding” your life is the practice of keeping your online and offline professional presence in shape for the career and portfolio you want to develop. A style guide is a set and detailed manual that brands use to declare their aesthetic identity. This is a tool often used in-house and shared with vendors to make sure all projects and new developments of the brand match the declared identity. Cool story, Katie, but how does that help me? Now, I’m not asking you to take these questions literally. You should answer these questions keeping your online presence as a client would see it in mind. This means your portfolio, social media, website, etc. Keep in mind that you’re trying to use the best tools that show you off as a professional. In short, keep public what you want the world to know and private what you don’t. And keep in mind anything online – privacy or not – isn’t really private. LinkedIn is a great tool not just for finding a job, but for making and keeping professional connections while not having to “friend” anyone. One pet peeve I have is when people try and “link in” with me even if they haven’t worked and/or met me. Try to wait to “link in” until you’ve at minimum met the person at a networking event or worked with them. When you’re answering what you look like, in this case I don’t mean your profile picture. I’m speaking more to what original images are you putting out into the world wide web? Do you share any videos you create? Blog your sketches? What visual identity are you creating online? For the most part your visual identity is comprised of outlets like Instagram, Pinterest, Flickr, Vimeo and YouTube. These put a face to what you see, what you like, and how you categorize and identify the world around you. These become a tapestry of images that represent a self-portrait of how the world sees your personality and work. Your voice can come across the web in several different ways. A comment here, a retweet there. It’s as simple as “share”. You just have to keep in mind that while what you’re sharing is within your power – who you’re sharing with is not. Twitter, WordPress, Tumblr, Medium, and Svbtle are just a few great ways to communicate to professional peers as well as educators and top designers and developers in the business. I was never super into Twitter until after I graduated. I find tweets about your most recent sandwich conquest or latest inside joke to be tedious and a waste of time. But once I started to develop websites and dive more deeply into coding, I was able to use Twitter as a FAQ resource. Not only did I find code examples online but I am also able to ask the developers who wrote that code questions on Twitter. I think Twitter, when used purposefully, is an extremely useful tool that brings the world of creators a little bit closer to one another. It’s also important to remember how you communicate with potential clients. Other than your portfolio – how do clients know what your normal workflow or process is? Do you write blog posts on what you’re working on? New tools your using? Reviewing other projects or problems you’ve encountered online or answering questions posed by others is a great way to start a conversation and allow potential clients to get a feel for your personality. Which leads us to the crowning example of who you are: your portfolio! How you behave on the internet is what work you choose to show off and also how you choose to show it. How you curate your portfolio and present your current assignments all paint a picture of you. Many people are using Squarespace, dribbble, Behance, Tumblr, and WordPress to show off their portfolio work. Some choose to have a full site that caters to blogging, displaying works, selling work and contact information. Some simply have a page of recent work on display. Either way, this is the most important area online you want potential clients to see. If you have a blog and share freelance work, I highly recommend getting into the practice of writing case studies after every finished project. It allows clients to preview your workflow, technique, and gives them a more accurate expectation for project time, hurdles, standards and practices. The goal here is to help you style your online presence in such a way that the projects you get offered and hired for are projects that you as a designer or developer feel excited about and look forward to having in your portfolio. In the end, it’s all about living the practice of doing what you love and loving what you do.